In recent years, the consumer electronics industry has witnessed the appearance of new rivals in such countries as South Korea, Taiwan and China, and increasingly fierce battles over market share and heightened price competition in the global market, paralleling progress in digitization, which has precipitated higher capital investment and saddled companies with heavier software development burdens and prompted the development of products based on universal components that make product differentiation increasingly difficult. To survive such a fiercely competitive environment and continue to generate and enhance corporate value, JVC and KENWOOD consider the restructuring of Japan’s specialty manufacturing industry through management integration to be absolutely necessary, which thus resulted in the joint holding company JVC KENWOOD Holdings, Inc. That’s not all, with such a change taking place, JVCKENWOOD is also looking for ways to improve upon their staffs’ productivity as well. Being an electronic industry, JVCKENWOOD Malaysia decided to depend on solutions that are equally as advanced as the products being made. After researching the market, the company reached the conclusion that FingerTec TA100C would be their choice of selection. FingerTec TA100C is the next step towards a modern era of workforce time attendance. Equipped with a systematic method of data collection via fingerprint, this biometric solution is entirely foolproof, as it leaves no room for forgery. This is because every fingerprint is unique and the minutiae matching technology within TA100C ensures only enrolled users are recognized. What’s more, unlike conventional solutions that demand expensive cost, FingerTec biometric devices are designed to be effective as well as affordable thus making it suitable for companies such as JVCKENWOOD that are looking in terms of value for money. 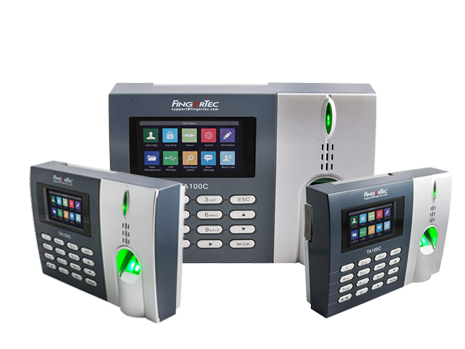 After deploying FingerTec TA100C, JVCKENWOOD Malaysia has since been enjoying total convenience in addition to workforce effectiveness provided by our state-of-the-art biometric solutions. For more information on FingerTec TA100C and other products being offered, be sure to click on the link below.